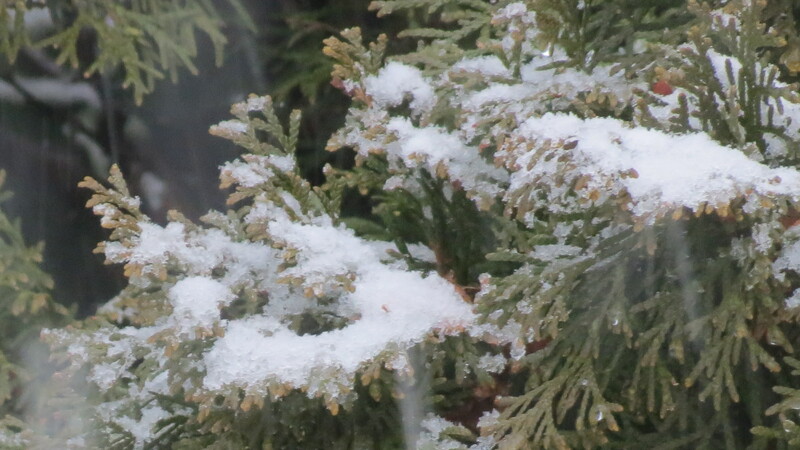 Snow falling on White Pines. 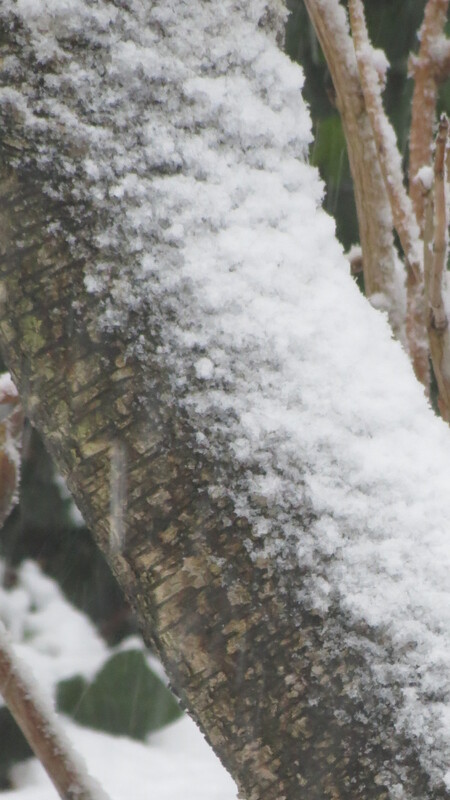 Snow falling on White Birch. 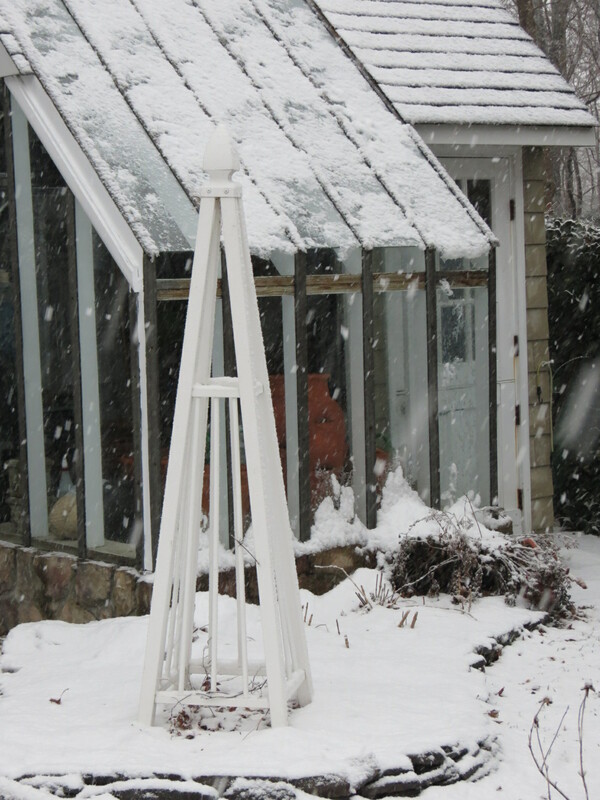 Snow falling on potting shed. I’m about to hit the publish button and it’s a whiteout as the sky darkens. From the windows, I see four inches of additional heavy, wet snow has fallen. Branches bend under its weight. Sixty mile per hour gusts of wind create swirls in the white veil. And I know that by morning, my world will be white. Winter white. Deeply white. Awesome! Please, more photos! Some of us need to live vicariously through you, because we’re stuck in a 2-year drought in Oklahoma. 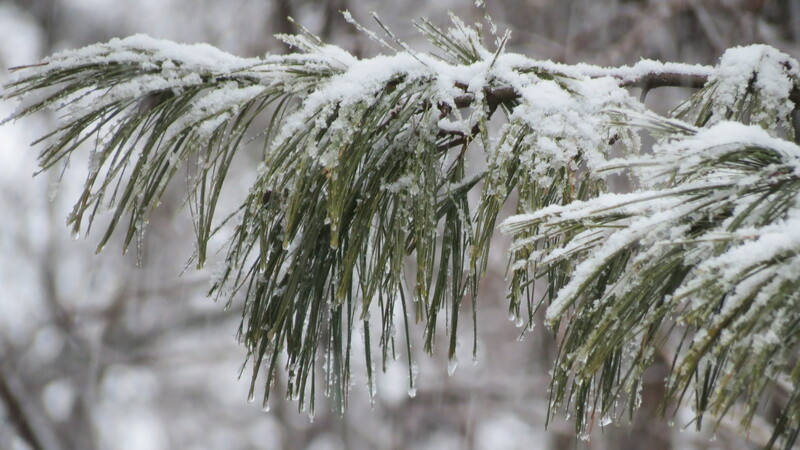 No rain, no snow…your photos are lovely, especially the white pines!! 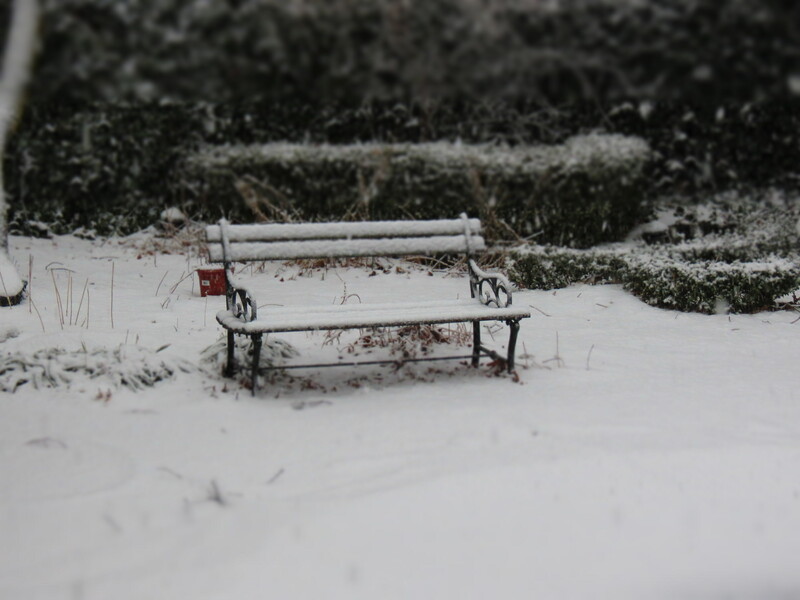 There’s just something about greenery and snow…stay warm and safe and thanks for the view! Hi Kathy. Sorry to hear about the drought. From the predictions here, maybe there could be a way that we can harvest the snow and ship it to you. The forecasters make it sound like snowmageddon. More pictures will come this weekend, once the daylight returns and the flakes have settled. Be well. Love fresh fallen snow! Stay warm and safe Kevin! I must admit, I love when it first falls and how it clings to branches. I also like when it melts, and the first few hints of green return. In the meantime, though, we’re under wraps and watching television. Take care! Great pictures, Kevin, and I sang along with each song you mentioned. We’ve got the same blast of winter going on here in Southern Ontario. We have almost a foot of snow so far. Here’s my order of things to do in a snowstorm: Put on boots and big coat; take camera and photograph how beautiful snow looks on plants and trees (make sure kettle is on before I go out); shoot some photos; come in – make a big pot of tea, turn on the fireplace and watch it snow through the window!! Might as well try to see the positive things about winter when you live in “the North”. Glad you made it home from work safely. Thanks for sharing those lovely pictures Kevin. The view outside my window today was much the same as yours. I’m sitting here in north central CT hoping we don’t lose power in view of the cold temps but must admit I enjoyed watching all the birds that came to my seed & suet feeders today–finches, nuthatches, titmice, juncos, cardinals, bluebirds, woodpeckers, a mockingbird and a little wren no more than 3 inches in size with a strong voice & melodious song as big as Texas. The birds were voracious given the weather. I really enjoy feeding & watching them every winter which helps somewhat to mitigate the inconvenience & stress cold weather visits upon us vulnerable humans. Keep safe. Hi Eileen. I just did a window check and there is about 10 inches of snow. I can barely see the house across the street. And what’s that I hear? Ice pellets hitting the windows. Yes, Mother Natures is giving us a little bit of everything tonight. Be safe! What an event. So glad you’ll be warm and safe. As always, looking forward to your next report. Hi Cheryl. It’s 9:00 and we just came inside after walking around the yard, trying to save shrubs. 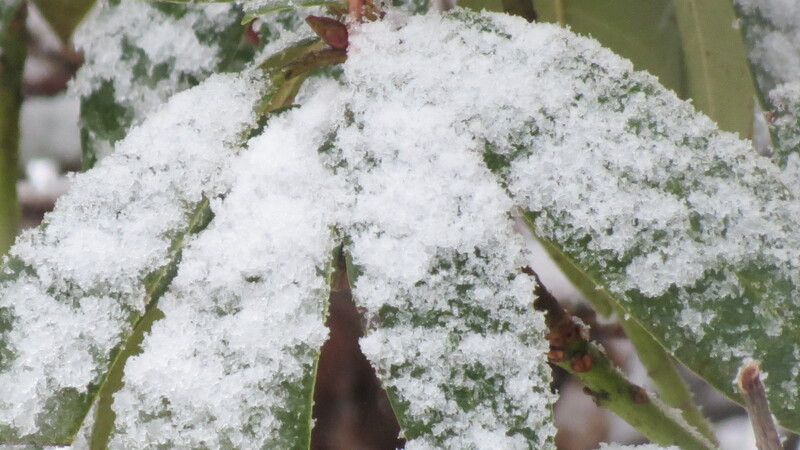 This is a very heavy, wet snow — and many of the trees and shrubs, some that are in the photos, are bent over. Some are touching the ground, others are smothering the roof of the house, and smaller shrubs look like they’ve pancaked. There was a lull in the storm, but now it’s a whiteout again. I am hoping that there won’t be too much damage. Brrrrrr and grrrrrr. Wishing you no damage! Glad you are home safely and not stranded somewhere! Do New Englanders still make sugar on snow? As a kid is was one of my favorite things about deep snowfalls. Hi Peter. Sugar on snow? I’ve never heard of it. Angels on snow, yes. Yellow on snow, yes — but be wary. But never sugar on snow. I am intrigued, though. Lovely pictures, Kevin, we are expecting snow again here in London on Monday – I had thought what we got last month perhaps was it for this winter but alas…The snow makes for beautiful and interesting pictures for us all, but I have had more than enough of the cold weather by now, I need some warm sunshine! Hi Helene. I agree with you about cold and snowy weather. Until this storm, we were experiencing a snow deficit. That’s now out the window, I;m afraid. Bring on spring! Oh, good luck! We had a tiny taste last December of what you’re getting now, with a heavy, wet snow that snapped large branches from pines and dangerously bent small trees and shrubs. Some damage won’t be evident until Spring. Stay safe! Hi Cindy. Thanks for the luck. 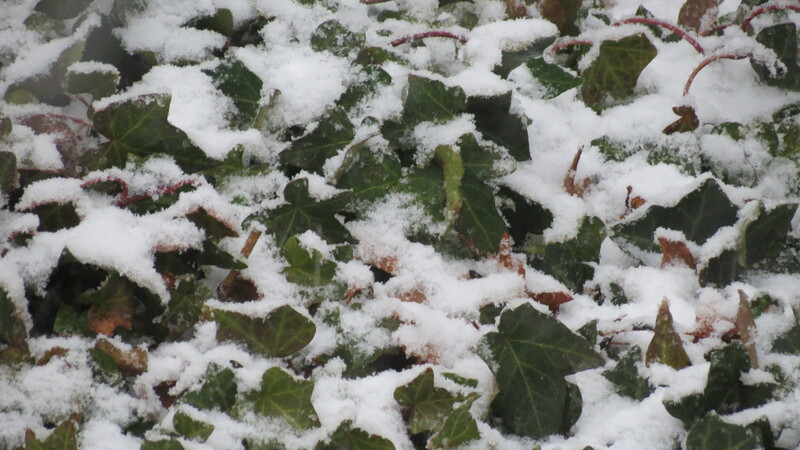 As you’ll see in the next post, this snow was not kind to shrubs and trees. I have to go do some shaking. I really can’t imagine! I feel cold just looking at the photos! No, Debra, you really can’t imagine. It’s been a two days since the storm, and many streets (including my own) have not been plowed. Tempers are at a breaking point as cars continually become stuck, as lanes appear and disappear, and as town officials no longer answer the phones. The rest of us would be fired if we treated our clients/customers in this fashion. Incredible! I just came back by to see if there were any updates…I’m still in awe of these photos! I don’t know how you go about having a normal work week…maybe you just don’t!